FORCO Feed Supplement Digestive Fortifier is a one of a kind product. It is one of the few pure and all-natural products on the market. It is dependable, stable, and safe. It does not contain live microbial or live-cell yeast, due to their perishability and inconsistent performance. It has no carriers or fillers and there are no supplemental vitamins, minerals or proteins. 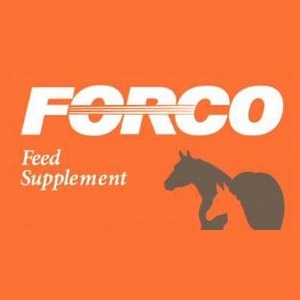 The FORCO formula contains only pure fermentation products designed to promote normal microorganism and bacteria population in the digestive tract of the horse. Most horse owners are very concerned with what and how they feed their horses, but this is only one side of the equation. To maintain optimum health and nutrition in the horse, the horseman not only has to feed balanced rations but also must maintain a balanced microflora in the digestive tract.